This blog is starting a new weekly series where scholarships, funding and other development opportunities will be posted here. This is because I usually come across such openings, some with specific requirements for the profile of candidates who can apply, but most times I am unsure of what to do with the information or who to forward it to. I have also been receiving numerous enquiries on how to go about searching for and applying for scholarship opportunities. I will be posting such opportunities from around the world – within Africa and outside Africa — covering funding for short courses and degree programs, fellowships, internships, essays and writing competitions etc BUT will NOT include general job openings. I have to state a caveat here, my aim is not to promote or encourage brain-drain. However, education remains a powerful tool for turning the fortunes of societies, and how we choose to use such a tool, after its acquisition, is entirely up to us. I’ve also come to the realization that some of the most qualified people (especially in Africa) have little access to information about these opportunities. This is the maiden edition, which I hope to continue with every Sunday. So keep a date with this page. Short Course Awards: Targeted professional development courses in a specialised field (Agriculture and Food Security, Public Policy, Mining and Natural Resource, Management , Health) with a duration of between one and three months. Read more in the PDF brochure HERE. Australia Awards cover the full cost of tuition fees, training materials, accommodation, living expenses, health insurance for basic medical and hospital care in Australia, and travel within Africa and to and from Australia. Click HERE for full application details. 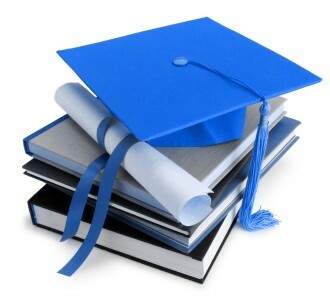 Long-Term Awards: Postgraduate scholarships at Masters and Doctorate level that lead to an academic qualification from an Australian university. Read more in the PDF brochure HERE . Australia Awards cover the full cost of tuition fees (up to two years for a Masters-level Award and up to four years for a PhD Award), training materials, accommodation, living expenses, health insurance for basic medical and hospital care in Australia, and travel. NOTE: Australia Awards in Africa targets equal participation by women and men. Applications from women are strongly encouraged, and mechanisms are in place to support women applicants and Awardees. The University of Oulu International Master’s Scholarships provide scholarships to academically talented international students in architecture, business, economics, education, engineering, and sciences. The scholarship is aimed at students studying for a Master’s degree in the University of Oulu two-year international Master’s programmes. The scholarship is for one academic year and covers the full international tuition fee. Chinese Government Scholarship Program is established by the Ministry of Education of P.R. China in accordance with educational exchange agreements or understandings reached between the Chinese government and the governments of other countries, organizations, education institutions and relevant international organizations to provide both full scholarships and partial scholarships to international students and scholars. “The post graduate scholarship program of Nigeria LNG Limited is an overseas programme aimed at supporting the emergence of indigenous experts especially, but not exclusively, within the oil and gas industry. The Scheme is part of NLNG’s Community Development programme which aims to contribute to long-term socio-economic development in its host communities and Nigeria at large. 70% of the Scholarship places will be awarded to students who hail from NLNG Host Communities and Rivers State. 30% of the Scholarship places will be awarded to students from other parts of Nigeria. Application deadline is 12 noon on Friday, 16th November 2012. Thanks a lot for this and I hope this interaction will continue to a greater hights. Surely many will be blessed with this information. Well done. So nice of you, May Allah rewards abundantly. this is amazing. am currently a couple of my friends with scholarship stuff. This provides another resourceful avenue to help these people. Many thanks. We need more of you to make the world(Nigeria) a Haven.CudOs to you. Do I have permission to broadcast these opportunities on my facebook page dear? Pls do. All the information I am and will be posting here is already in the public domain. Tnx Zainab 4 creating a platform to freely share this essential and much needed information. I’ve taken d’ liberty to also share it on my fb page. God bless.